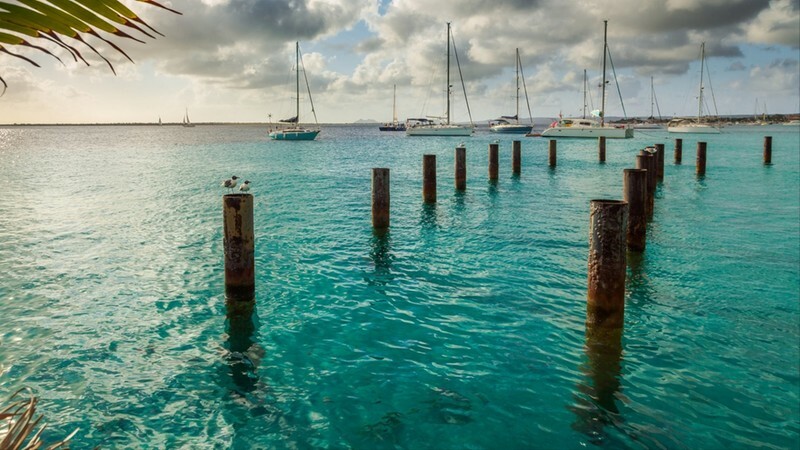 A smudge of a yacht charter destination on the map – Bonaire is the tiniest of the ABC islands, stretching out at barely 112 miles. Still, of all the sisters, Bonaire is the island that echoes off the beaten track Caribbean bliss. Free from the tangle of large scale resorts and chain brands, you will find peeling pastel homes, rogue donkeys wandering sun-drenched streets, and hidden scarves of sand draped around the neck of the turquoise waters. For charter days filled with diving, sipping cactus liquor, and immersing yourself in the wild wonders of small island life – Bonaire is a beauty. Blue holes, drifting rays, drop off points, and an endless tapestry of pure blue - Bonaire is a veritable divers paradise. The small island is home to endless marine parks, secret coves, and lagoons – so much so, that diving and snorkeling have become its main tourist draw industry. Discover the seahorses and cave grottos of Karpata, drift with big fish in the aptly named Sweet Dreams and get up close with reef sharks at the 1000 steps. The Bonaire salt pans are out of this world. Photographers will delight at witnessing the iridescent colors that make up the salty flats that stretch out to meet the blue sea. 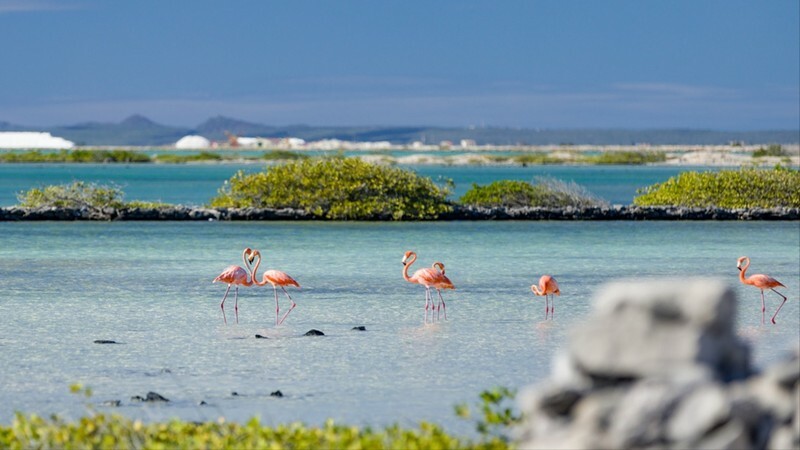 The flamingo pink and soft peach colors against a backdrop of blue is heaven sent, but as idyllic as the view is – the salt pans of Bonaire contain a dark history as they mark colonial rule and slavery. Visit the 17th century slave huts, admire the shimmering white cones against the fairytale pinks, and dive down to the see the pillars beneath the waters at the Salt Pier. Bonaire may be the smallest yacht charter destination out of the ABC Island chains, but she is also the one that captures the authentic feel of the Caribbean more than her neighbors. Low key restaurants, prickly cactus plants, patchwork plantations, and a sleepy feel that ebbs and flows throughout the day. Bonaire is the perfect place to snooze, snorkel, sip rum, and repeat. Bonaire’s beach scene is picture perfect. Floury white sands invite bare foot padding down to the murmuring sea, and the coastline is free from crowds and beach clubs. Sorobon Beach is surreal in its beauty – offering turquoise hues that seem impossible, even more striking when the waters are dotted with the colorful sails of windsurfers. 1000 steps is another fine stretch of sand, difficult to traverse but worth every step – the silver slip of sand sits beneath towering limestone cliffs and is a favored secret anchor. The spot that makes Bonaire so famous in the world of diving and snorkeling – the Bonaire National Marine Park is an epic tangle of coral beds, fringed reefs, rich mangroves, hidden beaches, and glowing lagoons. Grab your snorkeling mask or load up your oxygen tank for endless hours drifting through the ocean gardens that flank the whole island of Bonaire along with the Klein Bonaire Islet. Volcanoes and National Parks mark Saba on the map for those yacht charter guests looking to hike challenging trails, cool off in cloud forests, and snorkel with sting rays and turtles on the rocky coastline of Torrens Point. Saba’s countryside is a vision of velvet green, and the marine park boasts bubbling hot springs and sculpted underwater lava tunnels thanks to its heady volcanic origins. Windsurfing wonders can be found on the easy breezy shores of lovely Lac Bay. Yacht charter guests wanting to indulge in watersports should be sure to drop anchor and pull out the tenders and toys. Lac Bay is a vision of steady winds and gentle waters – painted in every blue hue you could imagine. Thanks to its soft shallows and plethora of marine life, you can also perfect your balance with stand-up paddle boarding and kayak along the translucent shores. Hailed as the Caribbean’s hidden treasure- St Eustatius is a slip of an island caught under the banner of the Netherlands Antilles. An easy journey from the breathtaking shores of Bonaire, you can hike the volcanic cone that punctuates the sky and test your snorkeling and diving skills at some of the marine parks heart racing wall drop offs. Between the months of May and October is considered the best time to visit Bonaire. Yacht charters sailing into the bays during this time will find temperate weather and what little crowds there are – all but dispersed. December until April is the busiest time in Bonaire and prices tend to spike to make the most of the tourist season. 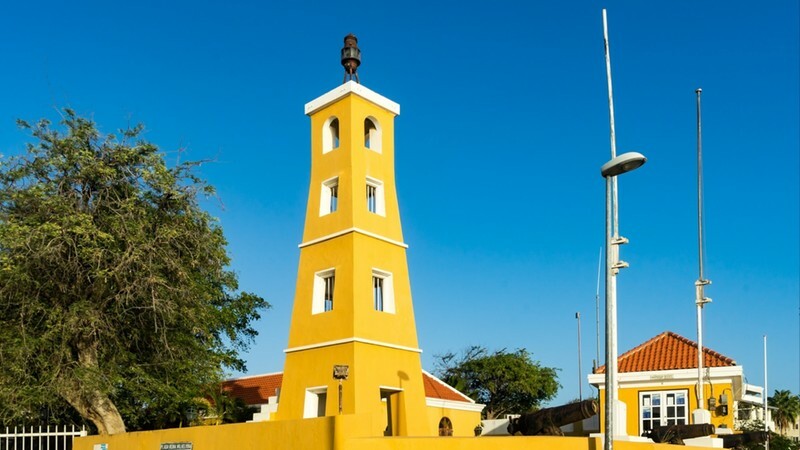 However, as Bonaire boasts stable warm weather and blue skies being this close to the equator and as she sits outside the hurricane belt, there is no bad time to visit.